We are located in peaceful and posh south delhi area. Service and Safety Assured. Room will be for 1 occupants staying in the room. Room will be for 2 occupants staying in the room. Room will be for 3 occupants staying in the room. 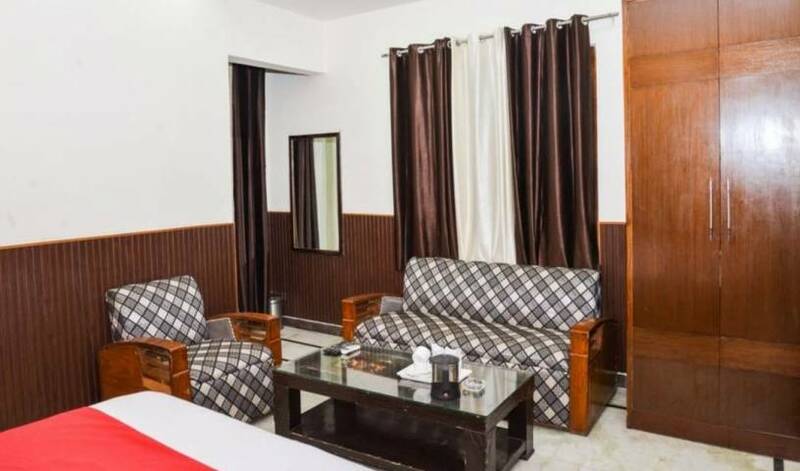 Hotel Hari Piorko is A luxurious hotel in Pahar Ganj and situated in Main Bazar and just 2 minutes by walking distance away from New Delhi Railway Station. Hotel Hari Piorko provides luxurious services in budget price. DELUXE DOUBLE ROOM IS WITH ATTACH BATHROOM WITH NO AIRCONDITIONED IN ROOM. SUPER DELUXE ROOM IS WITH ATTACH BATHROOM AND AIR CONDITION IN ROOM . DELUXE TRIPPLE ROOM IS WITH 3 BEDS IN ROOM WITH ATTACH BATHROOM AND AIR CONDITIONED IN ROOM. DELUXE FOUR BEDEB ROOM IS WITH ATTACH BATHROOM AND AIR CONDITION IN ROOM. DELUXE SINGLE ROOM IS WITH A SINGLE BED AND ATTACH BATHROOM WITH NO AIRCONDITION IN ROOM . SUPER DELUXE SINGLE ROOM IS WITH ATTACH BATHROOM , SINGLE BED AND AIR CONDITION IN ROOM. The White Klove is a contemporary Indian boutique hotel with a 3 star rating. 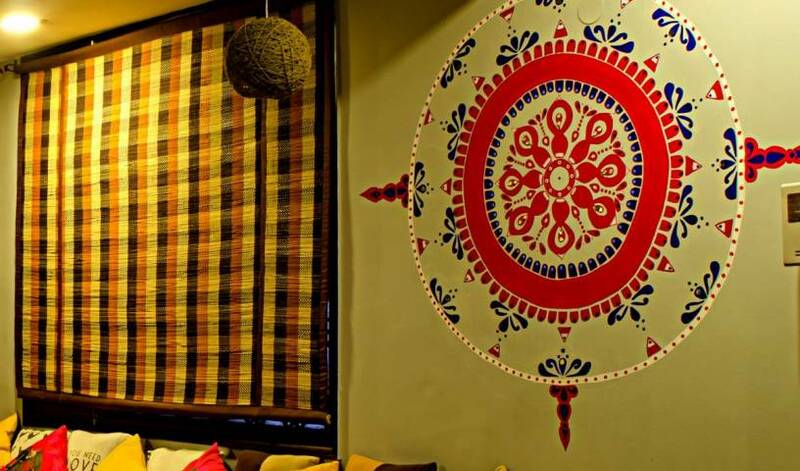 It is the perfect blend of modernity with Indian flavor. Hotel Le-Cosmos is A new Luxurious Hotel located in Central of Delhi and very near from the New Delhi Railway Station just 2 minutes by walking distance. Serving 4* Luxury & Comfort services in budget price. Delhi Budget Hotel, situated at city centre provides free airport pick up service. Tariff starts from 1600/- per night. Hotel aura is new property who provide to guest 4**** hotel facilities with all ultra modern services. This is Brand New Hotel which is built in 2009 & now ready to serve you the luxury accommodation at the city center of New Delhi. Hotel Intercity situated in Central of Delhi at Karol Bagh Area is a 3 Star Luxury Boutique Hotel having 23 Luxurious & Spacious rooms equipped with all modern facilities. Hotel also offers 24 hours airport pick up service. Hotel Blue Sapphire is a peaceful budget class hotel dedicated to our clients' needs. Room for 2 persons . Minibar , Tea-Coffee Maker , RO Water , Clean Linen , 24 Hrs Service , Iron Board , Lockers , Free WIFI , Breakfast in the room price ! Room for 4 persons . Minibar , Tea-Coffee Maker , RO Water , Clean Linen , 24 Hrs Service , Iron Board , Lockers , Free WIFI , Breakfast in the room price ! Room for 5 persons . Minibar , Tea-Coffee Maker , RO Water , Clean Linen , 24 Hrs Service , Iron Board , Lockers , Free WIFI , Breakfast in the room price ! Enjoy the warmth of an Indian family. Safe for single women and children. The room is equipped with TV, A/c, Mini bar, Fruit basket, Mineral Water. Maurya Heritage is centrally located. Provide your flight information and we will pick you up from both airports for free. Hotel Spb 87 , 17A/2, W. E. A. We are leading name in providing accommodation services to our business travelers and others. 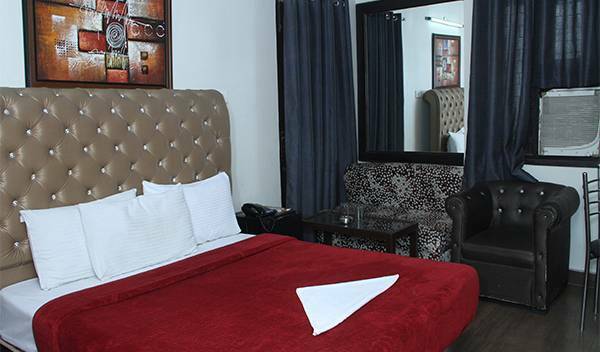 HOTEL PERSONA International is a 22 bedded fully furnished hotel with all the amnesties located in central delhi. the rooms are fully air conditioned. Hotel White House offers convenience with its prime location and 3-star facilities. We are walking away from Karol Bagh Metro Station. new hotel with 35 well furnished rooms and restaurant. 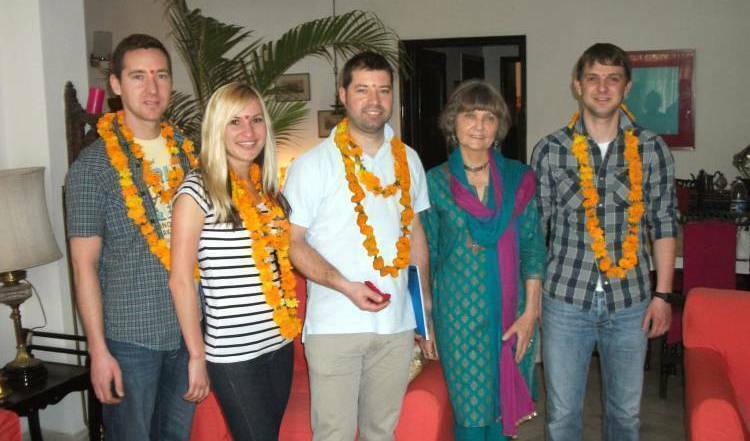 We are a family run Bed and Breakfast Homestay in New Delhi and not hotel. If you are looking for personalised experience and like interact with locals we welcome you to our homestay.. Visit us for memorable stay. Explore Delhi as locals do. Double ensuite room, Free Wifi internet, Western Toilet with shower, Coffee/Tea Facilities, Table with Lamp, Television with over 100 Channels, etc. Hotel Suncity is a haven of comfort and hospitality in the heart of New Delhi, where the finest in tradition and comtemporary living come together. T J S Royale Hotel in Delhi serving industry from many decades. We have been serving luxury accommodations of Executive, Deluxe & Budget room categories to our national & international guests. HOTEL MANDAKINI GRAND is a friendly hotel located strategically in the heart of Indias capital in close proximity to cannaught place and biggest shopping centre of Delhi Karol Bagh, committed to Best personalized hospitalities at very affordable price. 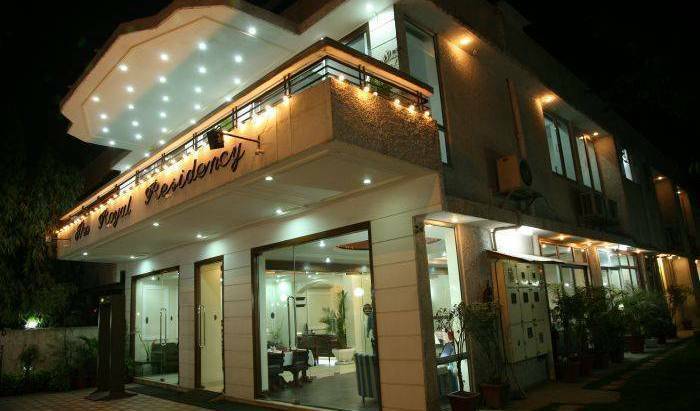 HOTEL PAL REGENCY is a friendly hotel located strategically in the heart of Indias capital in close proximity to cannaught place and biggest shopping centre of Delhi Karol Bagh, committed to Best personalized hospitalities at very affordable price. 14a/ 34 Karol Bagh W. E. A. Located right in the center - tourist hub of the city , we offer luxurious rooms for tourists / Backpackers and this will be a home to you to give a perfect start to your journey in India ! 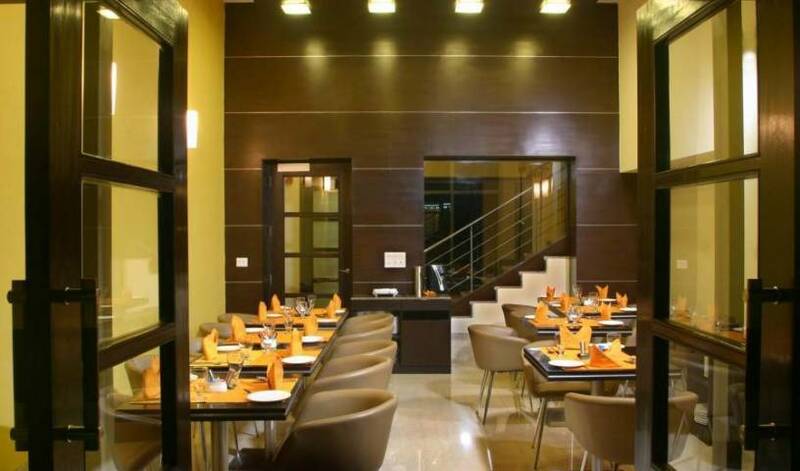 Stay in one of Delhi's best known budget class hotels. We offer free pickups from airport. Stay in one of Delhi's best budget hotels. We offer free pickups from either airport. Stay in one of New Delhi's most popular budget hotels. We offer free pickups from either airport. Majestic and tastefully done interior. "Value for Money"
Shimla Heritage offers convenience with its prime location and 3-star facilities. We are walking away from Karol Bagh Metro Station. Well furnished air conditioned rooms comes with a flat-screen LCD’T Vs with cable channels and a wardrobe. In-room conveniences include Tea/Coffee Maker with amenities. The en suite bathroom comes with hot/cold rain shower, bathroom slippers. Well furnished air conditioned rooms with Balcony comes with a flat-screen LCD’T Vs with cable channels and a wardrobe. In-room conveniences include Tea/Coffee Maker with amenities. The en suite bathroom comes with hot/cold rain shower, bathroom slippers. Deluxe room with complementary breakfast, with attach bath room Provide complementary airport pick up who arrive by any international flight. Flight details must be advice at the time of booking. 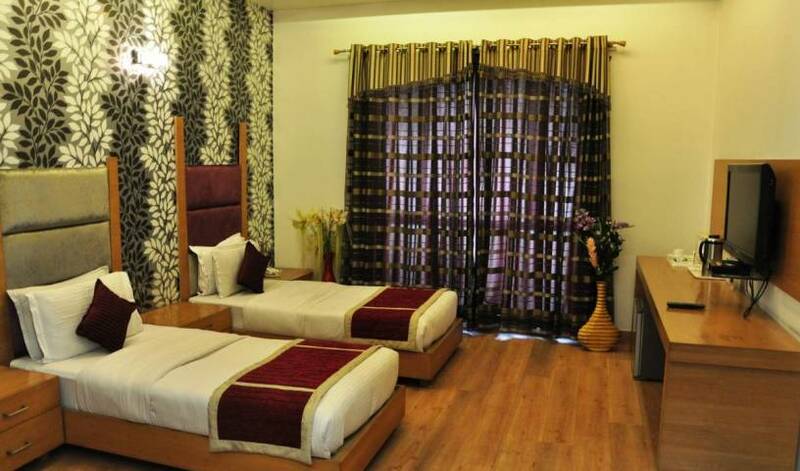 A 36 Room Hotel Situated in Pahar Ganj in the centre of Delhi. Near to Apollo Hospital, just 10 mins drive. Near to Pragati Maidan trade fair halls. Near to Okhla Ind Area. Near to Nehru Place. Incredible Home Stay is a unique fusion of a traditional hotel with all the modern amenities and services, and a guest house which offers you the warm and lively ambience of an Indian home. Comfortable place to stay in New Delhi, The Indian Capital! On The House, Bed and Breakfast New Delhi is a luxurious guest house & homestay in Safdarjung Enclave having 5 beautifully furnished, spotlessly clean, air-conditioned rooms with ensuite bathrooms, free wi-fi, 24 hour room service & much more. Contemporary and bold in design; this red, black & white room with straight lined IKEA style furniture overlooks the lovely terrace garden and Gazebo. Vibrant shades of green and blue combine with classy wicker furniture and traditional Indian paintings to make this room very inviting. The park facing private balcony makes it a favorite with regular guests. Luxurious Bathroom. Bright floral paintings and subdued colors of old rose and mint green combine with classic wrought iron furniture to give this room a typically English feel. Lovely Balcony with flowering pots. Luxurious Bathroom. A superior deluxe room, done up in warm earthy tones of rust and yellow, vibrant yet subtle with its ethnic interiors and antique period furniture. Lovely Balcony with flowering pots. Luxurious Bathroom. A superior deluxe room elegantly decorated in soothing hues of mint green with colonial furniture and antique Indian paintings gives you a feel of India. Luxurious Bathroom. overlooks the lovely terrace garden and Gazebo. A Homely set up located in New Friends Colony – a Posh residential colony of South Delhi. It is lush and green and has well laid out roads. All rooms are neat and clean and Air conditioned. This property is located in heart of delhi close to all emabessies and airports. Villa 33 is based in one of the most high end areas of South Delhi, Safdurjung Development Area. Set in a splurging 16, 000 sq feet villa, it is a premium boutique property, adorned with victorian architecture and designed with an Indian colonial touch. We are the most luxurious, comfortable and cheapest hostel providers for travellers in South Delhi/New Delhi with beds at a very reasonable rate. Experience the charm of North India in our beautiful guesthouse with a comfortable atmosphere where we serve with a smile. Aashiana captures what India stands for- its heartfelt hospitality, warmth and rich culture. Enjoy 5 star amenities within the comforts of a homestay yet the charm of a boutique hotel . Our budget bnb is centrally located in posh GK2 and offers clean, airy and big rooms with Cable TV, Fridge, free wifi, multilingual staff and much more. 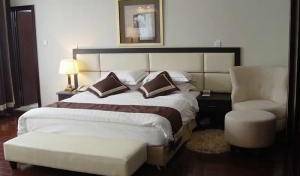 Nest Hospitality, welcome to the world of leisure Bed & Breakfast service apartment–which is fast gaining popularity among the well-heeled. Nest Hospitality also functions as a second home concept which is inline with international holiday home. 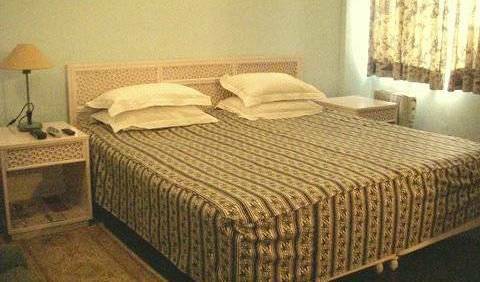 Hotel in Karol near Metro Station offers comfortable stay to their guests. Facing the Sun all day and very cool in summer! This air-conditioned room comes with a King-sized bed, a flat-screen TV and a private bathroom with 24-hour hot-water showers. Room rates include a free airport drop-off service. Please contact the hotel directly to arrange this. Furnished with a desk and seating area, air-conditioned rooms are equipped with an electric kettle, a flat-screen satellite TV and a mini fridge. En suite bathrooms come with a hairdryer, hot/cold shower facilities and free toiletries. Furnished with a desk and seating area, air-conditioned suites are equipped with an electric kettle, a flat-screen satellite TV and a mini fridge. En suite bathrooms come with a hairdryer, hot/cold shower facilities and free toiletries. a home away from home, living among real Indians and learn the traditions and culture of this amazing country. The Room includes 1 Night Stay along with World Class Amenities like: Complimentary Breakfast ( South Indian , Continental , Indian ) Wi-Fi Internet & LCD TV Morning News paper, Dental Kit, Comb, Shaving Kit, Lotions, Shower Gel, For your Care Kit 2 Tea, 2 coffee, 310 square feet Area to stay The Charges are including 10% Luxury Tax + 7. 42% Service Tax. The Room includes 1 Night Stay along with World Class Amenities like: Front Highway View, Welcome Drinks, Complimentary Breakfast, Mineral Water, Wi-Fi, Mini Bar, Morning News paper, Fruit Basket, Branded Body Shower, Dental Kit, Comb, Shaving Kit, Transfers for your Care Kit, Bath Gown, 2 coffee, 2 Tea, Weighing Machine. The Charges are including 10% Luxury Tax + 7. 42% Service Tax. The Country Inn & Suites by Carlson, East Delhi - NCR (located in the East Delhi National Capital Region) is the first 5 star hotel to come up in East Delhi and offers unparalleled Luxury, Style and an All Vegetarian World Cuisine. Hotel is located just 5 mins drive from the New Delhi Airport and 7mins walk from Aerocity Metro Station, hence makes it well connected with all the chief tourist attractions, shopping malls, New Delhi Railway Station and National Bus Station.